Imperial Guard. Hellhound tanks. Has the Tau met its match? The soldiers of the Cadian 71st have thought that they’ve seen it all. That is, until they uncover a Planetary Governor to be in league with the Tau! With the odds against them, Captain Hawkins and his men fight with a bravery and brutality against an enemy that seems to be one step ahead of them. At the risk of sounding like an uber-nerd, if it’s a Warhammer 40K spin off then it is safe to say that I’ll either love it or at least like it a great deal. I don’t actually play the table top game and never have (too much to remember and not enough time or energy), but so far everything I’ve read that is 40K I’ve enjoyed. I enjoyed Fire and Honour to a degree. The artwork is great and I love the blending of colours, the abrupt colour change when the scene changed and yet it still blended really well. 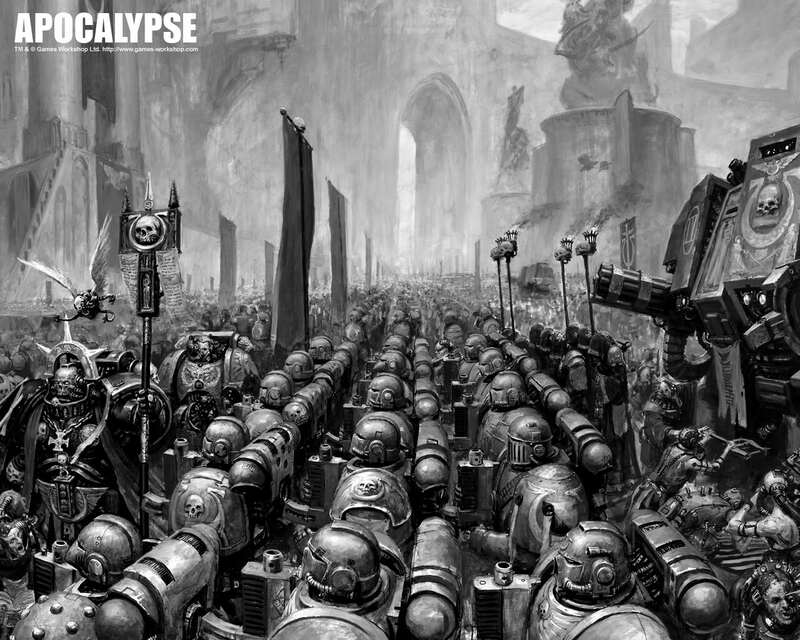 I always enjoy most 40K art so maybe it’s not much of a surprise. I also really like the fact that there are several pages of full page art after the story has finished which includes the Cadians, Kroot (an alien species which I think look really cool), and the Tau who were all in the story. These poor Cadians always seem to be in a spot of bother or other and when it gives the appearance of them being safe again they aren’t. It’s either the Tau, the Kroot, or traitors and it is so apparent that they will find bad luck, that by the middle of it I was expecting it all the time. I think a story should have an amount of drama, but at the same time that drama should not be so obvious or expected. Naturally you’re going to expect something to go wrong to a degree, but why should we be constantly reminded about it throughout reading? Isn’t the story better when it doesn’t make it obvious and the drama creeps in on us instead? 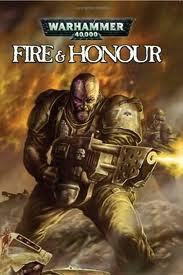 Another problem that I had with Fire and Honour was at times I found it a little difficult to follow. I do however have difficulty following comics and graphic novels which I think is due to not being used to reading them or having the story visualised for me already, but it’s not an aspect of reading them that is always bothering me which leads me to believe it is a factor of this story. Apart from all of that it’s not a bad read and I even had emotional reactions to the Cadians journey. That must be a positive for it, surely? I would recommend, if you set out to read it, that you should read up on some Warhammer 40K and the ‘verse first because you might get a bit lost. It is not one of those stories where you can just pick it up and understand it all. You might find yourself wondering what the Eye of Terror is, what the deal is with the Emperor, and who the Mechanus are, but at the same time it’s not so bad that it will distract you a great deal from the story.